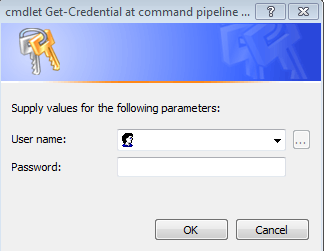 $filelocation = "\\shared\home\Mohsin.AliPatel0 - DBA8 - Powershell\Powershell_training"
This option uses the get-credentials cmdlet to bring up a prompt whereby connection details can be entered. These are then passed through to a connection method. -Query "select SERVERPROPERTY('ServerName') as Server, count(*) as 'DB Count' from sys.databases"
If the credentials are correct, then the script returns how many databases are in each server in the instancelist. $cmd = "SELECT SERVERPROPERTY('ServerName') AS Instance, SERVERPROPERTY('ProductVersion') AS Version, SERVERPROPERTY('ProductLevel') as SP"
Write-Host "Connection String : "
When trying to run the Invoke-sqlcmd command within the powershell utility, an error is returned suggesting the command is not recognized. Invoke-Sqlcmd -Query "SELECT GETDATE() AS TimeOfQuery;" -ServerInstance "mysqlserver"
# Use Dot-Source to Call the “Initialize-SQLPSEnvironment” Script. $instanceNameList = Get-Content "\\shared\home\Mohsin.AliPatel0 - DBA8 - Powershell\Powershell_training\ServerList.txt"